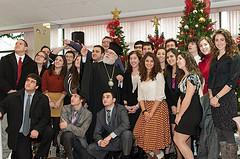 His Beatitude, Metropolitan Jonah, and His Grace, Bishop Michael of New York and New Jersey, addressed students at two separate conferences sponsored by the Orthodox Christian Fellowship [OCF] during the last week of December 2011. Metropolitan Jonah joined nearly 60 college students at the west coast conference December 27-30 at Saint Nicholas Ranch, Dunlap, CA. He explored the conference theme, “Raise Me Above This World’s Confusion,” in a series of three lectures. He addressed the confusion that stems from “the lust of the flesh, the lust of the eyes, and the pride of life” [1 John 2:16], which constitute a life lived selfishly. Using examples familiar to college students, Metropolitan Jonah presented in clear and succinct terms some of the basic principles for spiritual living. He emphasized the importance of friendship and true communion in the spiritual struggle, and encouraged those present to continue the work that they’ve started by attending the college conference in a spirit of openness and honesty. Between lectures, Metropolitan Jonah took part in group discussions and led the students in prayer. Concurrently, Bishop Michael spoke at the east coast conference at Antiochian Village, Bolivar, PA. His lectures revolved around the same theme explored at the west coast conference. “Spending four days at OCF College Conference East was one of the highlights of my episcopacy thus far,” Bishop Michael said. 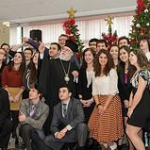 “To speak with, to pray with, and to commune 260 college students who gathered to share their Orthodox Faith, their life in Christ, and Christian fellowship with one another was an incomparable experience for me. I was privileged to be among outstanding Orthodox speakers and workshop presenters from throughout the country. To watch the reactions of these fine young people as they ‘soaked up’ wisdom from fathers and mothers in the faith was such a joy. 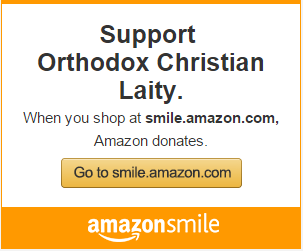 “I wholeheartedly recommend support for this OCF annual event,” Bishop Michael added. “Our college students should attend this; their parents and parish priests should encourage them; and sponsors/donors should scholarship their expenses. It is an investment in the young leadership of our Church for generations to come. A third conference was held at the same time at the Diakonia Center, Salem, SC. 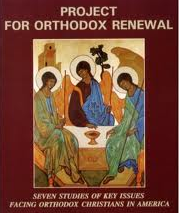 Orthodox Christian Fellowship is a ministry of the Assembly of Canonical Orthodox Bishops of North and Central America [http://assemblyofbishops.org]. An audio of Metropolitan Jonah’s lecture is available at www.ocf.net/wikis/programs/college-conference-west-audio-recordings.aspx. An audio of Bishop Michael’s lectures is available at www.ocf.net/wikis/programs/2011-college-conference-east-audio-recordings.aspx. Photos of all three gatherings are available at www.flickr.com/photos/51027658@N08/collections/72157628614406987. For more information about OCF, visit www.ocf.net.